Wednesdays are the worst. It’s the middle of the week, and there’s no end in sight. 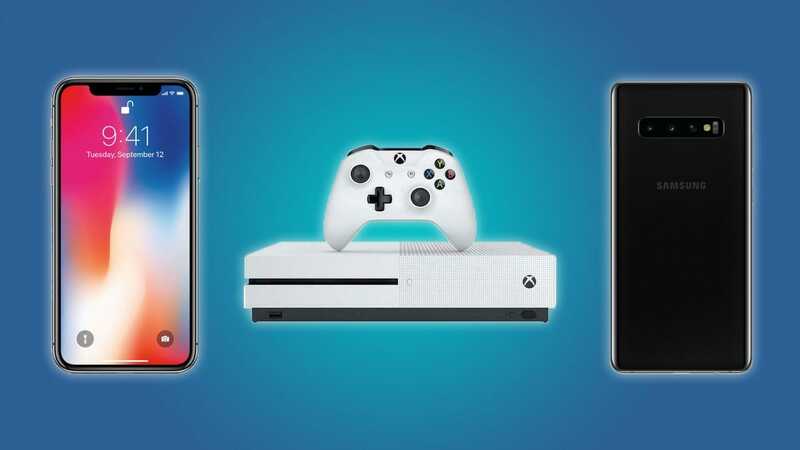 At least we can find solace in discounted cellphones, a $170 Xbox One S, and a cheap iPad. You probably didn’t plan on buying a phone today, but if you’ve had your eyes on the Galaxy S10+, the Galaxy 9, or the iPhone X, then now’s the time to hunt down your wallet. For whatever reason, eBay and B&H are running killer deals on the two most popular premium cellphones. Hey, I ain’t complaining. Some carriers still sell these phones for $1000, and the Galaxy S10+ is a brand new phone. If you aren’t interested in a new phone, then there’s a good chance that you’re interested in a $170 Xbox One S with 1TB of internal storage. This is one of the best Xbox deals that we’ve seen, and eBay only has about 20 more units, so don’t wait too long to make your purchase. Need a hot new phone, or just something inexpensive to tide you over? The Anker PowerCore 5000, which is our favorite compact battery, is only $17 right now. Need a new laptop, or a mesh Wi-Fi system? We’ve got your back. Most of these deals are for the home and kitchen, but the Gerber MP600 Multi-Tool (a great multi-tool) could find a home in your car, bag, or desk. Deals never last as long as they should. So if you’re in the market for a new phone or an Xbox One, then don’t wait to put down your money.